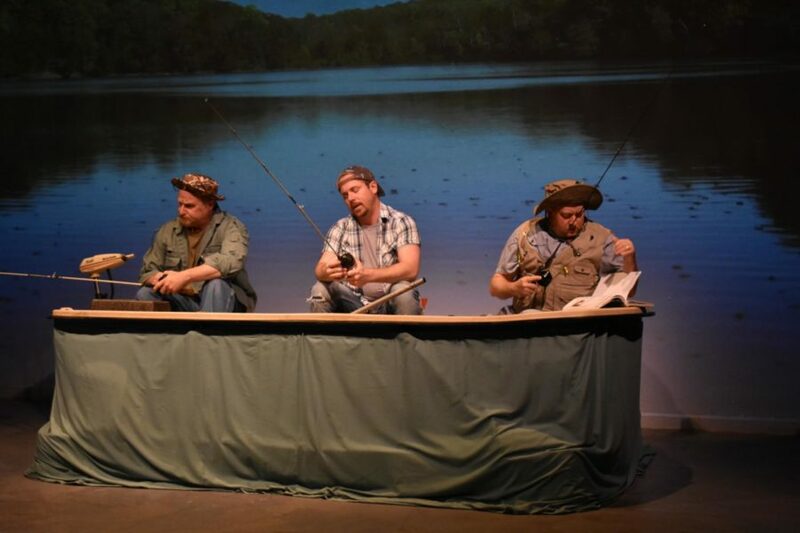 In Theatre Coppell’s production of “Reel Men, the Fitzhugh Brothers”, brothers Walt (Mark Roberts), Andrew (Thomas Caldwell) and Richard (Martin Mussey) fish together. The original play follows the three brothers as they bond on the fishing trip, and was performed numerous times between Aug. 17 and last Sunday. 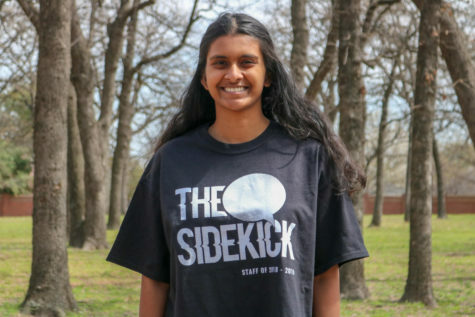 “It’s easy to love people when they’re loveable … the real test is loving them when they’re not,” said Andrew (played by Thomas Caldwell), one of the main characters in Theatre Coppell’s “Reel Men, the Fitzhugh Brothers” production. The play was performed numerous times, beginning on Aug. 17, and the last performance was on Sunday afternoon. The actors have been preparing since June. With only three actors and very few set changes, the production was quite minimalistic. Only essential props were used; costumes consisted of nothing more than casual clothes and hats. Much of the focus was put on the characters’ dialogue. The show follows three middle-aged brothers: Walt ( Mark Roberts), Richard ( Martin Mussey) and Andrew. Walt and Richard’s relationship has always been rocky, so Andrew arranges a fishing trip for the three of them during which he hopes his brothers will talk through their disputes. Laughter fills the theater constantly, as humor is laced into every page of the script, and the actors deliver it well. Much of the humor is from the brothers insulting each other, or from Walt’s comedic personality. Each of the brothers has their own story. Walt still blames himself for accidentally hurting his brother when he was a child, Richard is an author who has divorced four times and Andrew’s ex-wife has recently been pushing to receive all his possessions. Because their lives are developed so fully, each character feels like a real person. Roberts has never acted in theater before, although no one in the audience would have guessed it. Despite his lack of experience, he even manages to pin down his character’s heavy accent. Because the production is an original play, the playwright is also the director. The audience mostly consisted of older citizens who could relate to the character’s lives. They left the theater still chuckling, and the actors still smiling from the satisfaction of a great show.